If you love Super Smash Bros. Ultimate and glorious pieces of gaming hardware as much as we do, you'll probably have a pretty hard time resisting this one. 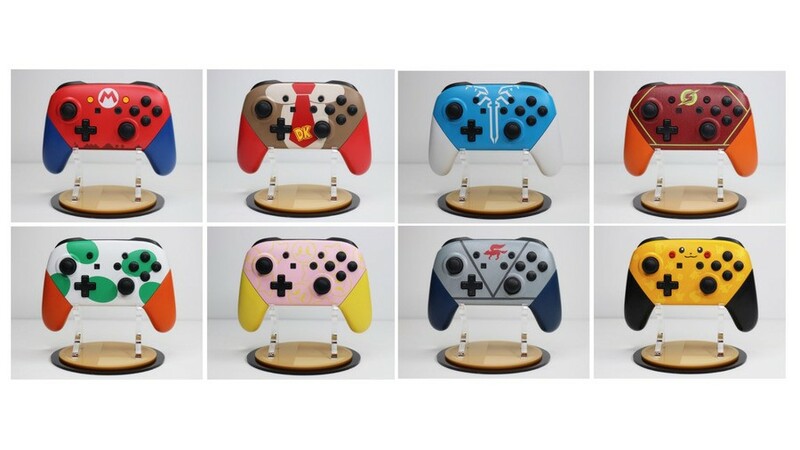 A Kickstarter crowdfunding project has recently launched offering backers a custom Switch Pro Controller featuring any character design they like from the game, and it's proving to be mighty popular. Initially, the project had a goal of $7,500 - controllers will be made for every character regardless of whether or not someone chooses them, all to be included in a special artbook release - but this target was smashed in just four and a half hours. At the time of writing, total funds are nearing $25,000 with 27 days still left to go. The crowdfunding page notes that the base controllers are not official Nintendo Pro Controllers - although you can upgrade to one of those at extra cost. The controllers used look and function almost the same, although amiibo functionality is not supported. 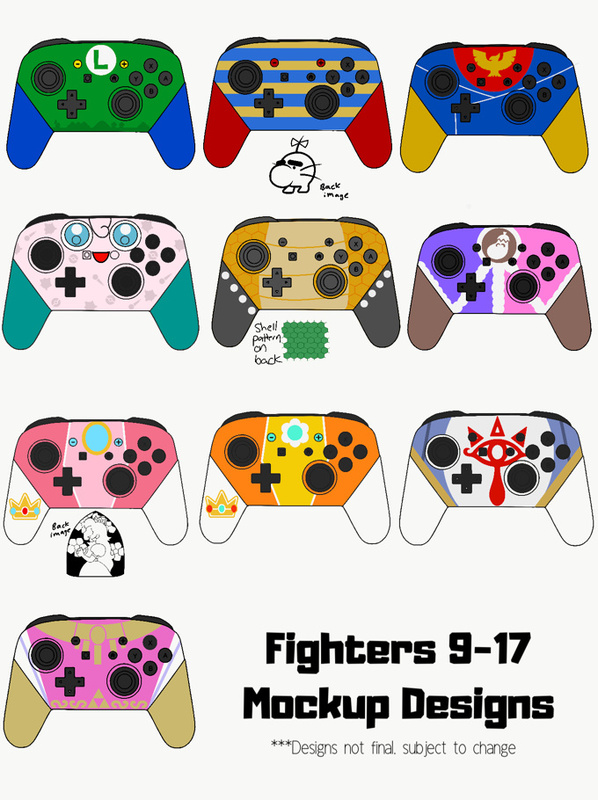 Eh, I was never a fan of character-themed controllers. Not a fan of these themes, but Damnn i love that samus design. but wont spend a penny on this. No thanks. Looks nice but I don't have the money to splurge. Shouldn't they be Gamecube controllers? Just only order the replacement shell from Ebay and ask the local video games repairman to swap the shell, i can get that Beautiful Pro Controller. Cool idea, but sorry, I just don't trust these things anymore. Not official controllers = not worth the money. I might of considered one for Fox. But their version is kinda meh. That grey and dark blue don't compliment each other at all, at least not in that picture. I'd have preferred white for the body, and a slightly brighter blue for the grips. I also think they're overcomplicating the visual design on a lot of these, but I guess I'm just a fan of less is more. I'd like to see Ike's controller. And Dark Samus. Wildly popular and in demand in the real world - hated by everyone on Nintendo life comments. They LOOK great, but my friends and I do train Amiibo a lot, and it seems like an unnecessary hassle to use two controllers when the Joy cons work fine for me. Why can't a 3rd Party controller maker ever include everything Nintendo puts in their original ones? The one for Ness looks like it was stolen from a yacht. If not for Mr Saturn, I’d have had no idea. I’ll just keep my PSI bois next to my dock instead. Samus design is nice, tho. Already have 4 Pro Controllers with the tape fix done to each, I only need the shell. Just sell them as shells! Much cheaper, no functionality loss. 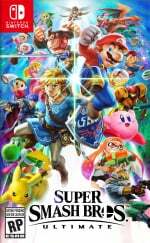 @Aozz101x "i would love to see a Switch Pro Controller with the Smash Logo on it"
You might want to check Google. The Zelda one is great! Even the trim along the bottom fits, though one could certainly do without or put it on the back. Samus' looks good, though the lines could be rearranged. I'd also say remove the level map from the bottom of the Mario and Luigi controllers (or put those on the back). I think that the Captain Falcon one should have red grips, and then it'd all mesh. 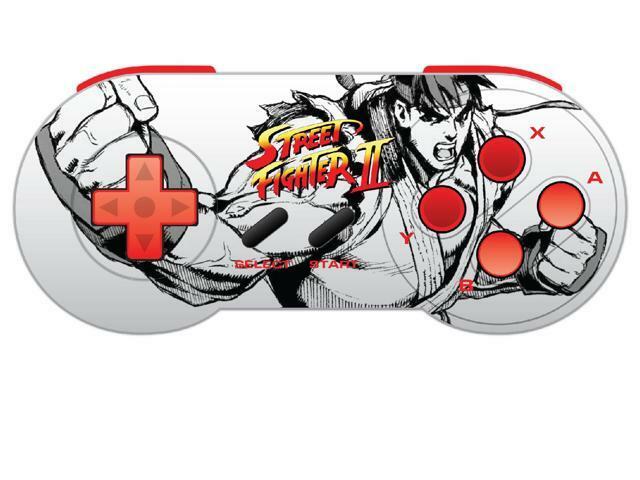 One can just go right now to DecalGirl and have a custom print made for any controller and character in a nice fitting skin. Ofc, having it painted is something else, but i don't think nintendo will be to nice to them about copyright and what not. The Ryu and Ken one better look similar to this or it's not worth it. The ideas are interesting but man those sure are ugly controllers. I've never come up with anything so vile when messing about in Xbox Design Lab. Most of these concept designs are kinda ugly to me. @Ogbert oh, i take it back than. If they sell the decals.... Dude I'd buy some! Or the shells for the controllers. @Stocksy a healthy community, one might say! Do they have one for Shulk? Didn't see him up there. not gamecube controllers, and not even real pro controllers...also why would you need to kickstarter this? Why not just set up shop and sell them? Starting cost can't be all that much, clearly they have the money already to paint them, they already have the designs, and already have some ready. Just seems like a scam to "fail" the project and abscond with some dough. @Anti-Matter Okay I don't know why you got some many down votes because that is a beautiful controller. I'd love an Incineroar one. I just want a legit Metroid pro controller and switch. The way Nintendo could get me to buy three switches is if they released a Metroid theme, an Animal Crossing theme, and a Pokemon theme. I'd buy the Metroid theme three times. There were some haters toward me. I've learned not to trust anything that isn't Official. I bet their will indeed be at least one person to buy them ALL! I want that Samus one!!! Wish the Bowser one looked nicer. Ah well. @KingBowser86 Could you kindly elaborate on the "tape" fix? What does it do? Is it something you think I should do, and if so how do I do it? I would totally get the Pikachu one if it didn't have a face. I want a Famicom R.O.B. one. Not official controller = no purchase. Last time a third party controller was actually decent, Sega Genesis was current gen.
Now I want to see all of them... all 80 after DLC. @Nekonokatzen I'd buy it because of the face. @noswitchbutidc That's fair. Everyone likes different things! I just don't have a lot of time to Git Gud at gaming anymore, so after a while I'd feel like that smile was mocking all my failures. I'd then proceed to ship it your way, @Nekonokatzen. @noswitchbutidc Brah, there are two sorts of things in life I will never refuse: free food and free video game stuff.